Monday - Friday 11:00 – 23:30, Saturday 12:00 – 23:30, Sunday closed. Theatre diner with vaulted ceilings, serving eclectic bistro cuisine, plus burger and salad bar. 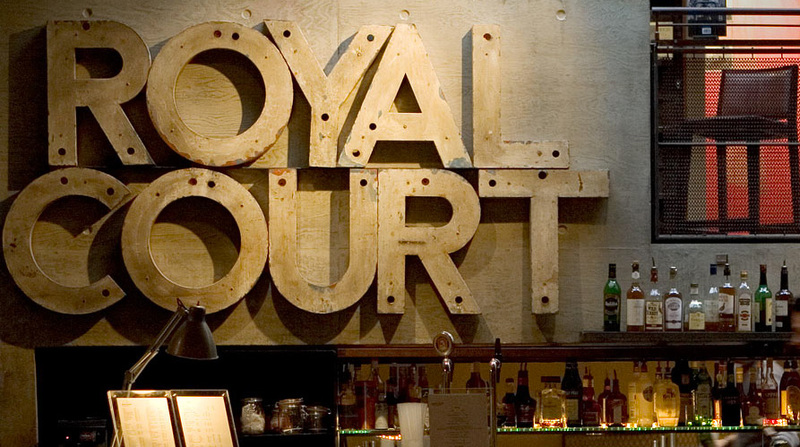 The Bar & Kitchen is a subsidiary of the Royal Court Theatre, any money you spend with us goes directly into supporting what happens on stage. We are the only independent eatery on Sloane Square & are open to general public & theatre-goers. In the daytime our newly re-furbished bar is a great spot for a quiet moment with snug meeting spaces, light lunches, cakes and a wide selection of coffee and teas. In the evening, you can soak up the pre-show atmosphere and enjoy a Berry Bros wine, cocktail or dinner. Our menu offers a selection of large & small plates, boards, burgers & desserts. We also have a selection of bar bites including olives, nuts, popcorn, cake & chocolate.